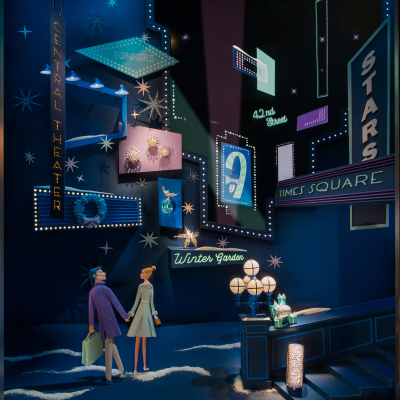 Tiffany opened the season of gift giving with the unveiling of its famous windows depicting an exuberant celebration of New York City. Tiffany & Co celebrate the 2014 Blue Book through window displays. 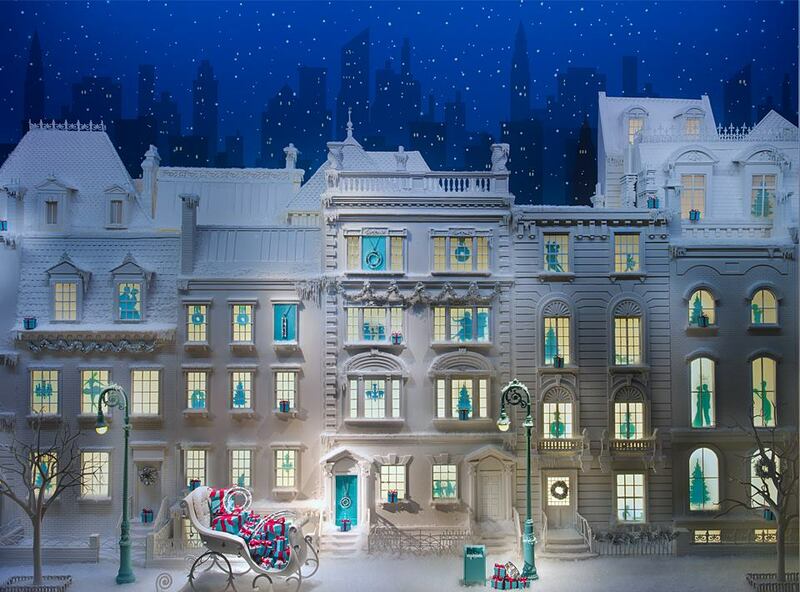 Tiffany & Co unveiled their Holiday window display where the snowy New York streets come alive with Tiffany Blue boxes. 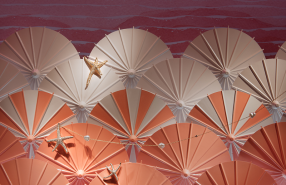 Tiffany & Co celebrates “Carefree Days by the Sea” using soft colored parasols for their summer window displays. 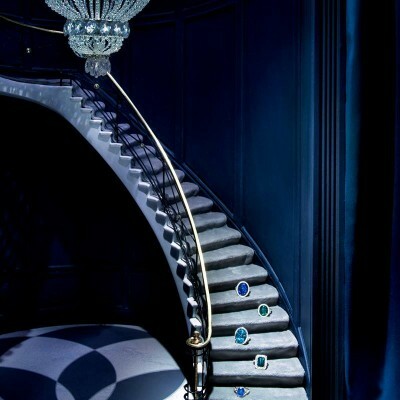 The most recognizable jewelry piece from The Great Gatsby movie in the Tiffany & Co window display from au Printemps. 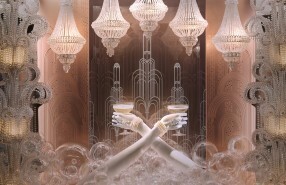 ‘The Great Gatsby’ Window Display at Tiffany & Co. in collaboration with Catherine Martin. 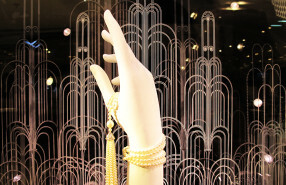 Great jewelry pieces created for the movie The Great Gatsby and displayed at Tiffany’s windows. 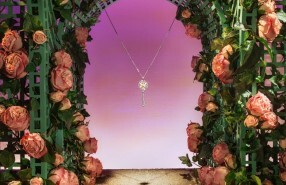 Tiffany celebrate the new Enchant collection with a Secret Garden theme for the window display.